I haven't posted in about 40 days. Where have I been? Growing a baby. Dealing with car issues. Setting up Christmas. Helping hire my replacement. Going to How To Not Accidentally Kill Your Baby classes. Being crazy busy but also crazy tired. Work SHOULD slow down as the holidays get closer. Baby growing has entered the 3rd trimester and has been getting more and more "real". I should have more updates around the holidays. 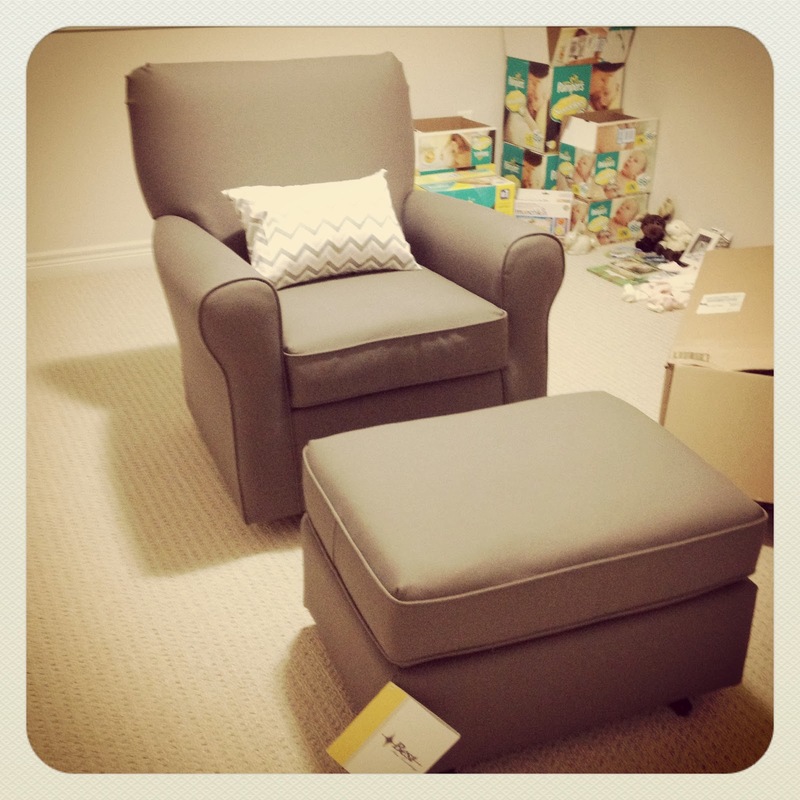 For now, here is a picture of the nursery chair. We received the chair a couple weeks ago and the ottoman just came in. I love it. It's a swivel glider and the ottoman also glides. Super comfy.